Across the valley of our current church New Life Baptist Church, is an area called Kwadwesi Extension. This is a much denser populated area then where we are now, and also where several of our people are from. 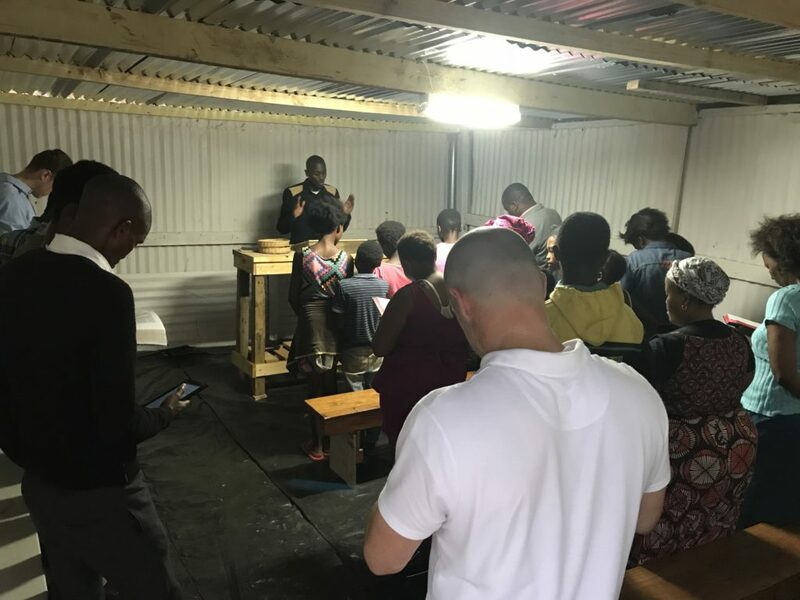 Pastor Sipho has been holding midweek services there even before we arrived back to South Africa. The attendance is really starting to pick up. For our special Valentines service this past Wednesday we had around 125 people in attendance. We had to keep the kids 12 years of age and below outside because of the space. This is the area we want to start our next church and believe from there we can start churches in at least two other areas near by. Special Valentines Service at Kwadwesi Extension where we want to start a church. We ended having about 125 in attendance with 75 of those being children 12 and under.